In their concepts, buildings, and designs submitted for competitions, as well as in theory in their teaching, Bettina Götz and Richard Manahl investigate the relationship between architecture and the creation of high-quality urban environments. They give special attention typologies and structures, social aspects. Strong building concepts and their interplay with the urban context and the inhabitants’ individual spatial demands are also of great importance in the work of their firm ARTEC Architekten. Ever since founding their firm in 1987, Götz and Manahl have contributed significantly to architectural discourse in Austria and abroad. Housing, a typology fundamentally shaping the city, is the core of their work. This manifesto-like book introduces the reader to the thinking and visions of ARTEC Architekten. 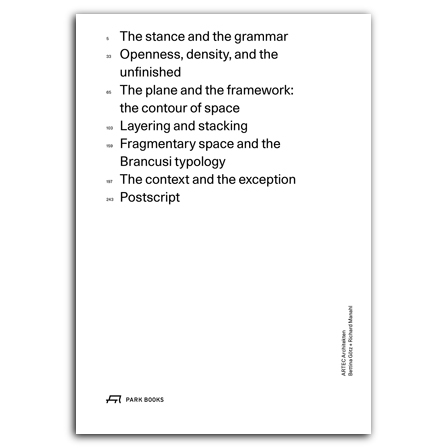 It features a vast selection of projects, built and unrealized ones, through images and floor plans and sections, alongside six programmatic essays by Götz and Manahl. The book’s design demonstrates visually what the texts elaborate upon in theory: their attitude to architecture’s core topics, their design methods, and their ongoing engagement with history and present of habitation. studied architecture at the Graz University of Technology. Since 1987 office ARTEC Architekten in Vienna. Since 2006 she has been professor of Design and Building Construction at the Unversity of Arts in Berlin.